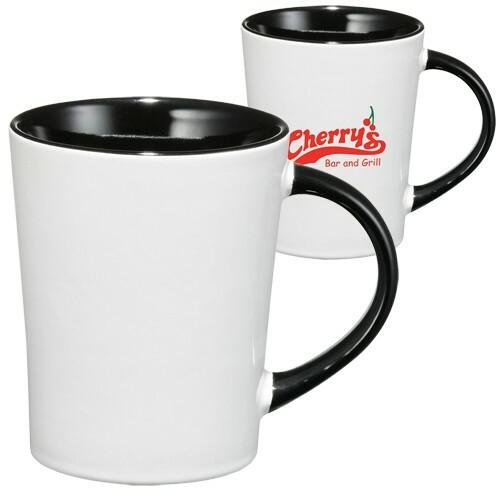 Maple promotional ceramic mug is in a similar shape to Latte mugs. But if you pay attention to details you would have noticed the coloured liner and handle- it's something classic yet still unique. 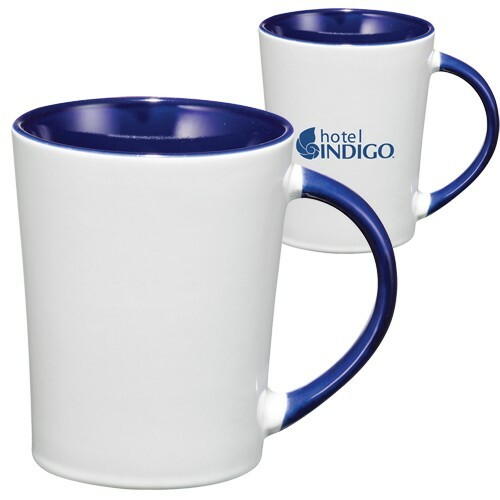 This branded mug is perfect to customise with your business logo or name. It is packed in bubble bag and presented in cardboard tuck box. 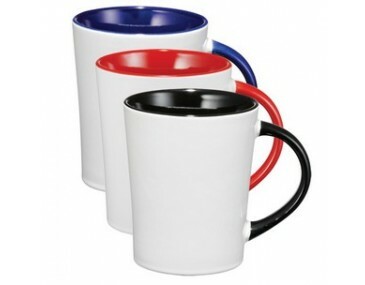 Available in three different colours: red, blue & black (all with white body outside). 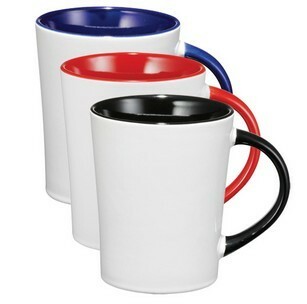 We use a very special printing ink imported from America on this Maple ceramic mug and then low fire the mug in kiln. 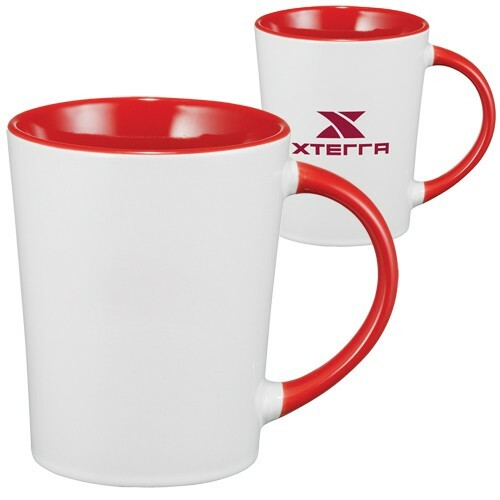 These would ensure a quality branding that won't get faded in wash or after day to day use within a reasonable period. Price listed includes 1 colour print on 1 spot. Setup fee of $85+gst applies per colour per position. Orders must be in multiples of 24 units. General turnaround time is 2 weeks from artwork approval. 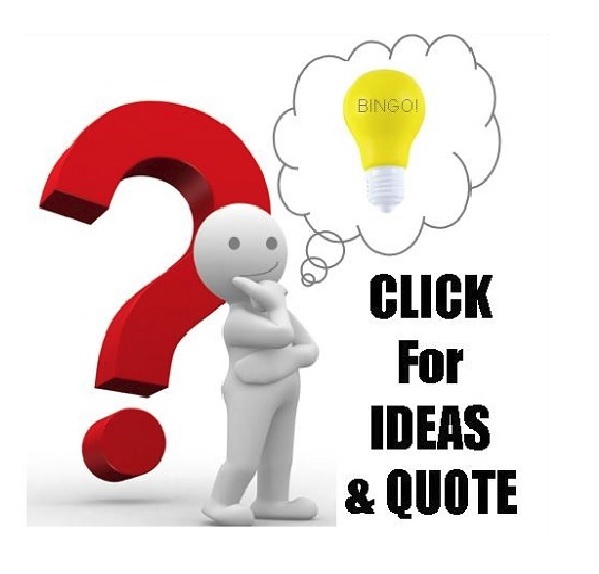 Artwork is required in vector EPS or AI format. 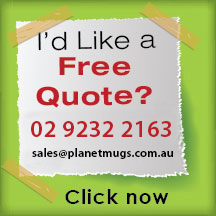 If you need this item quicker we can rush towards your deadline. Please give us a buzz or shoot us an email to enquire. All prices are GST exclusive. 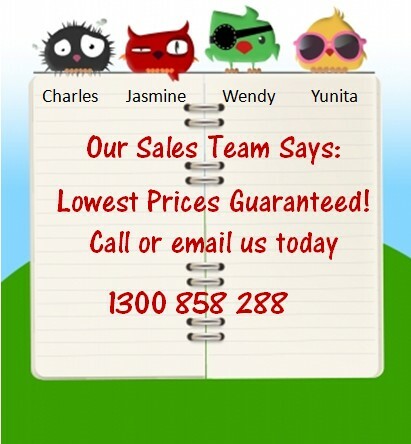 Deliver via road freight is included in the pricelist to one metro location in NSW, VIC, QLD & ACT. Freight is additional to all other areas within Australia or if air freight is required for urgent delivery.